When it comes to TN drug and alcohol addiction treatment, well-rounded, evidence-based programs produce the best sobriety outcomes. Having refined our addiction therapies over nearly a decade, English Mountain Recovery incorporates individual and group therapy approaches at our 12-Step Smoky Mountain residential treatment center. Transformation begins when you take the first step to enrolling in our 30-, 60-, or 90-day residential treatment programs. 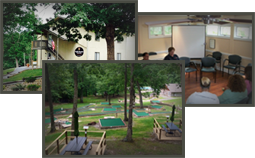 English Mountain Recovery integrates sleeping quarters, treatment, and recovery-related facilities into one 27-acre locale. Our addiction specialists support mind, body, and spirit healing during individual and group therapy sessions, and guests participate in gender-specific programs that allow them to relax and be open with therapists and co-participants. To learn more about therapy modalities at our 12-Step recovery program, call (877) 459-8595 or contact us online. To determine your insurance benefits, click here.